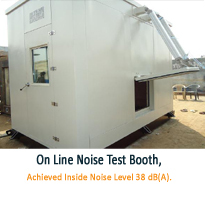 We design and manufacture all kinds of acoustic enclosure to control the noise and strive to achieve desired noise leve. 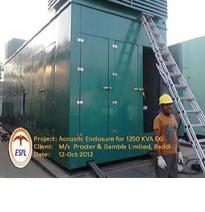 Our designed acoustic enclosures are appluicable in steel plant, cement plant, power generation plant, industrial sites, oil and gas plant, heavy forging industries & other manufacturing units where noise level is very high. 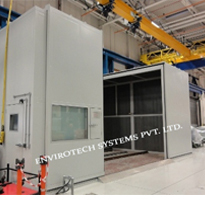 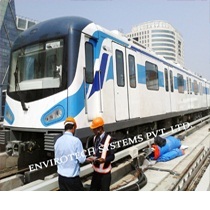 We offer Complete structural designing of acoustic enclosure and engineering support including layout designing as well as determining acoustical the structural and air ventilation requirements with out affecting the DG performance. 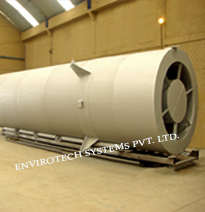 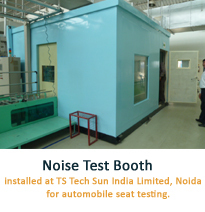 » Noise reductions according to CPCB Norms /as per ISO 14001 requirement for industrial applications. 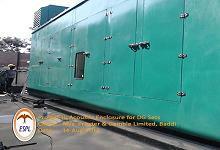 » Hinge type door of required size, doors are fitted with Gasket to block noise leakage from gap. 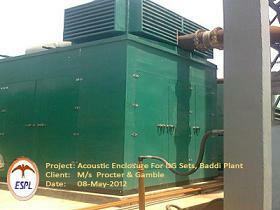 » Acoustically treated louvers on roof of Acoustic Enclosure for air inlet & exhaust. 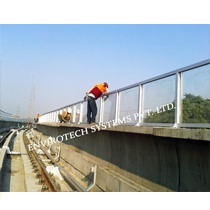 we provide sufficient no. 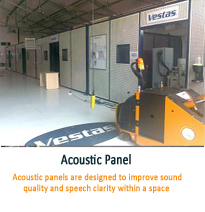 of acoustic doors For maintenance access equipped with heavy duty hardware and seals to prevent noise leakage. 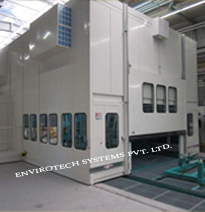 Acoustic glass windows/vision panels are double or single glazed, 1/4" thick, laminated safety glass or wire reinforced including framing and sealing.Removable Panels for constant or intermittent access to equipment can be incorporated in acoustic enclosure design. 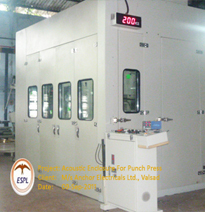 Every Project includes piece-marked assembly drawings & AutoCAD submittal. 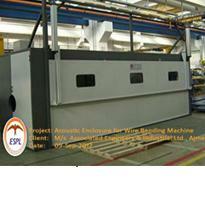 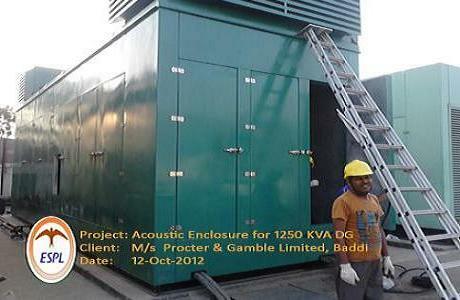 Acoustic Enclosure for 1250 KVA DG Set _ AMW Autocomponents Ltd.